If you’re on a domain, there might be a time where you need to delete a user profile in Windows 7. Maybe it became corrupt or experiencing odd issues. If you go through the Control Panel and User Accounts, you can remove their access to the system, but this doesn’t actually delete their local profile. 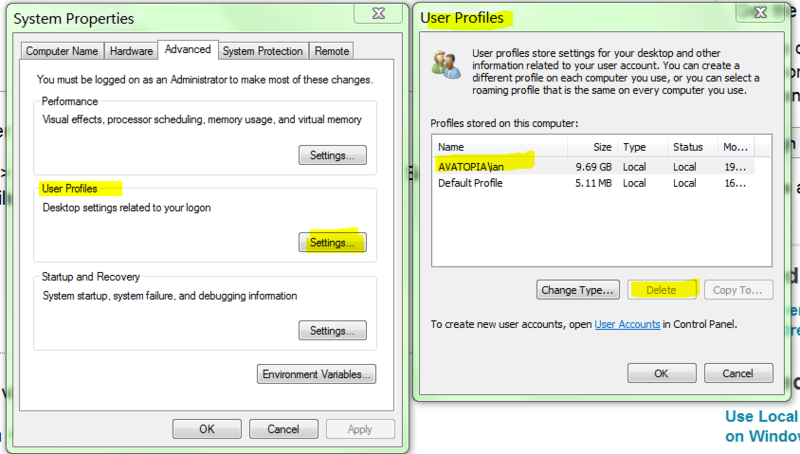 Once it is gone, you can logoff (or reboot) and login again to re-create the profile.